Sara Jayne Ireland, teacher and Director of SJ Arts, has been passionate about dance all her life. Last year SJ Arts took a gamble, buying a property in the English Street industrial estate. The risk is paying off, as ‘Studio 9’ is becoming a vibrant centre for the teaching of dance, musical theatre, and performing arts. “SJ Arts is established, it’s got its home now, and for the students – that’s what I wanted to create. 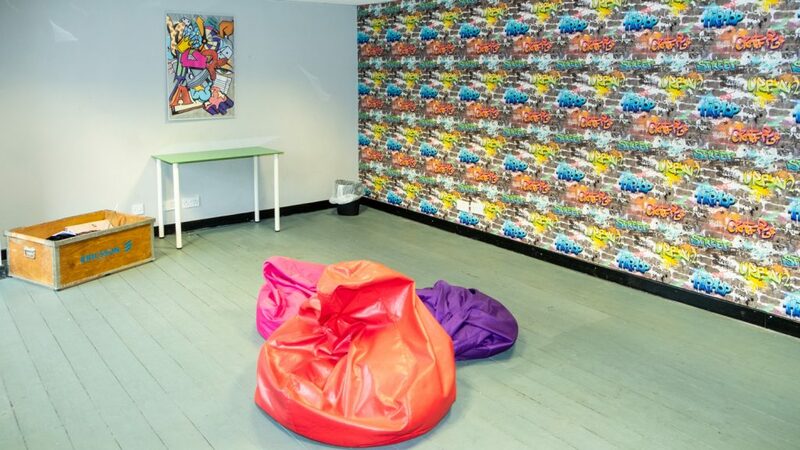 I want creative individuals to come in and enjoy the space,” said Sara. Sara started dancing as a very young child. Dancing became her life, and source of friends. As a young girl she particularly enjoyed ballet, tap, jazz, and musical theatre. Then, at 15 years of age, life threw her a curved ball, she was diagnosed with a very serious back problem which needed a lot of surgery. Recovery took about three years, including a year lying in bed, months and months in various casts and frames, and even having to learn to walk again. “It was really, really weird to then go back into the studio and think, oh, I’m going to sort of stretch out and reach my toes or I’m going to move,” said Sara. 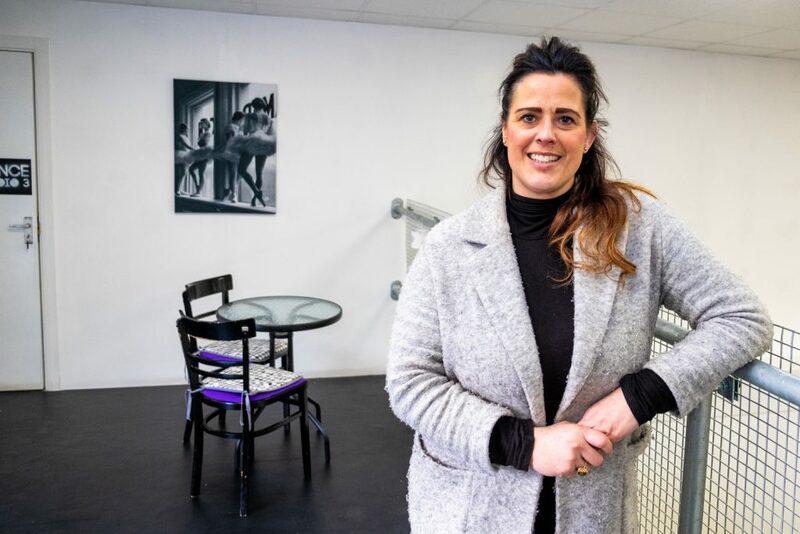 Sara started her own career as a dance tutor when she was 22. In those early years she would rent church halls and community centres, delivering classes to four students one night and a dozen another. She also pursued lots of other dance-related opportunities, judging competitions, and networking very widely within the dance and musical theatre industries. This year Sara celebrates 25 years of being a professional dance tutor. “So I’ve not done the actual performance career that I wanted to do. But if I’m brutally honest, I don’t feel sad about that at all, because I feel like I’ve actually done a lot more than I probably would have done if I’d just been the performer,” she said. Sara recognises that dance, and dance teaching, develops with each generation. There are new trends such as street dance, and many several pop-up dance classes have appeared in recent years, often led by graduates of dance from university courses. Rather than fearing competition, Sara welcomes these fresh expressions. “You do need new ideas coming in. You do need somebody with a totally different outlook on dance and teaching,” she said. Just a few years ago, the ‘Building Schools for the Future’ programme delivered a swathe of new buildings for the school academies in the city, each with high-spec facilities, including bespoke theatres and dance studios. Education in the city has never been so well resourced. Whilst these new academies open their facilities to public use, they created a dilemma for Sara and SJ Arts. Younger students became accustomed to the modern facilities they encountered at school, rather than the make-do offerings of church halls. But the combined cost to SJ Arts of renting such attractive facilities session-by-session became phenomenal. ‘There had to be an answer,’ thought Sara, and the search for a suitable venue of her own started. A casual conversation “with a friend of a friend of a friend” identified a property at 9 Mechanic Lane, in the English Street industrial estate, as a possibility. It had potential, with parking space, and where loud music would not be a problem to neighbours – but it was also partly derelict, with some walls missing, and the ceilings and floors would need a lot of attention. Undeterred, Sara quietly pursued the purchase. It took 18 months, lots of patience with the planning application process, but finally the purchase completed and work could begin on the building’s transformation from electrical engineering workshop to dance school. ‘Studio 9’ was created, and the doors opened to students late summer 2018. “The vibe that we’ve got here is amazing for the kids, you know, something I’ve wanted to create for a very, very long time,” said Sara. 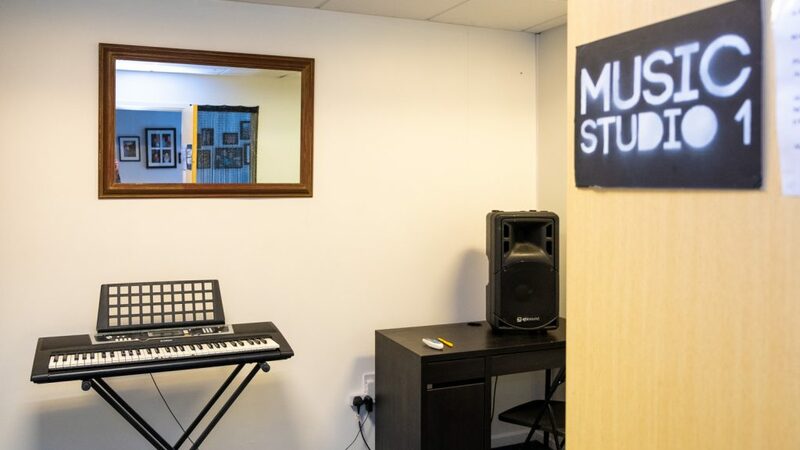 The bespoke studio facilities now host around 100 students a week. 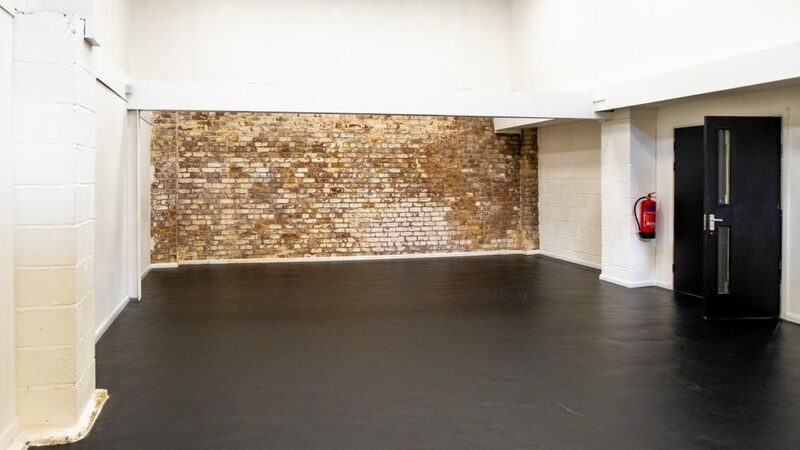 There are 2 large dance studios (one with a viewing gallery for visitors), a number of small music rooms, a large room used for yoga or singing classes, a room decorated more playfully for very young children, and even a break-out space with facilities for making drinks and snacks. “If you see talent in a child, that’s great, isn’t it? But you can’t just say, ‘oh, you’re going to be the next ballerina’, that might not happen, you don’t know that, but you can certainly start them off on their journey, and we obviously have the contacts,” she said. “I think in this industry you’ve just got to decide which way you want to go. If you want to be famous and have all the excitement that goes with that – the limelight and papers and photo shoots and being published on social media, and all those things – go for it if that’s what you want. There’s no right or wrong. But if you really want to be a performer, I would say just work really hard and I think your passion and your talent will see you through. But it’s not easy. That’s the thing. It’s not easy. It depends who you are as a person. The teaching that SJ Arts delivers, and the new facilities they are developing at Studio 9, could be a stepping-stone into exciting careers for some of their students. It’s certainly a well-resourced and welcoming space in which to gather to dance and sing. Be the first to comment on "New home for SJ Arts delivers high-spec facilities for students"